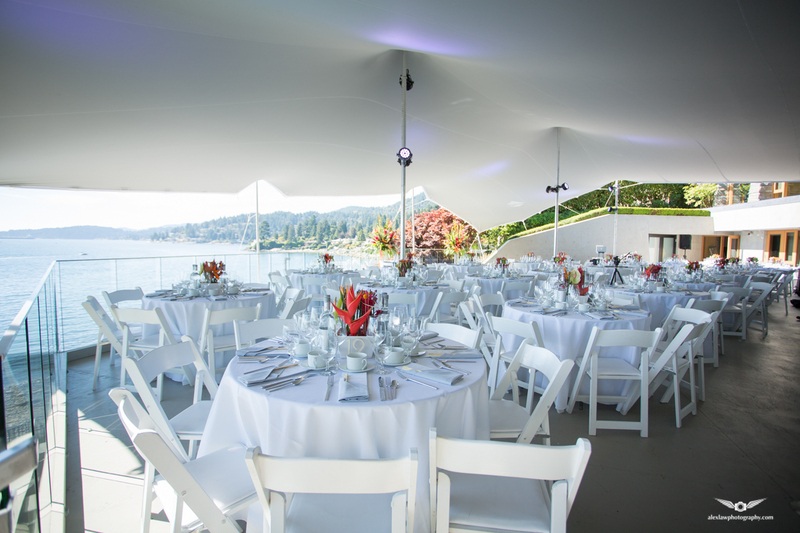 Stretch tents owe their versatility and strength to a remarkable fabric purpose developed for the tent industry. It has been exhaustively tested both in the laboratory and harshest conditions we could find in the field. Comprised of a high tensile knitted polyester with a durable polymeric lamination our stretch tent membranes are 100% waterproof, fire retarded and exhibit perfect unilateral stretch. Their inherent stretch memory ensures that they recover their original shape soon after tension is released. The base fabric is Teflon coated for water and dirt repellance, is UV stabilized and undergoes anti-microbial treatment. Tents are machine washable. All seams are welded for guaranteed strength and waterproofing. To ensure safety interior poles are fitted with base plates whilst perimeter poles are attached to rigging lugs along the tents edge. Larger structures or those in exposed or difficult areas will incorporate storm straps over the tent for added security. Tents have reinforced rigging lugs every 3" which affords not only flexibility in the positioning of perimeter poles & ground stakes they also serve as secure rigging nodes to attach the tent to other suitable anchor points. Using a combination of rubber capped 2" aluminium poles, 42" steel stakes and 5/16" double braided polyester rope tent membranes are simple to install in almost any location imaginable. Once the appropriate layout has been established the tent is positioned on a protective tarp, staked in the desired configuration and then lifted into place by its perimeter poles. Interior poles are positioned where desired and the entire installation is checked both for structural integrity and strength as well as style and balance. prior to final tensioning. Should changes need to be made, release the load to allow some give, re position poles or stakes as desired and re tension. 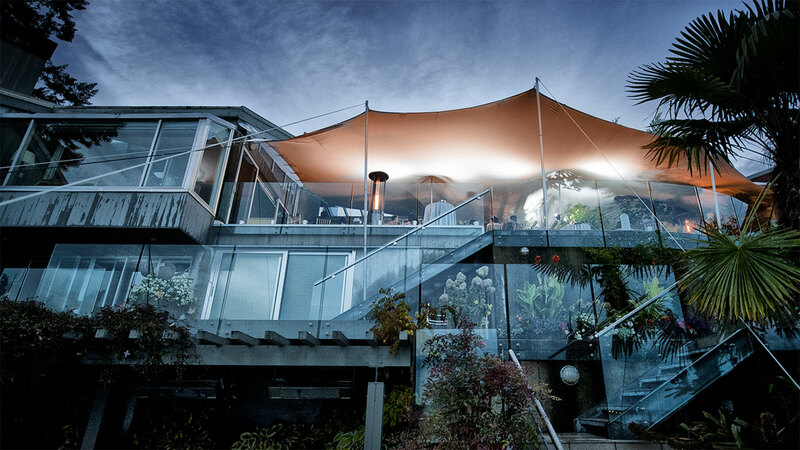 Drapery and decorative elements can be added as desired and by working with the seductive curves and scalloped finish of the tensioned tent all manner of styles & themes can be achieved.